Damen Shiprepair Curaçao has commissioned its large floating C dock. After the final tests had been carried out in the morning, the C Dock was submerged onto the equalized seabed. 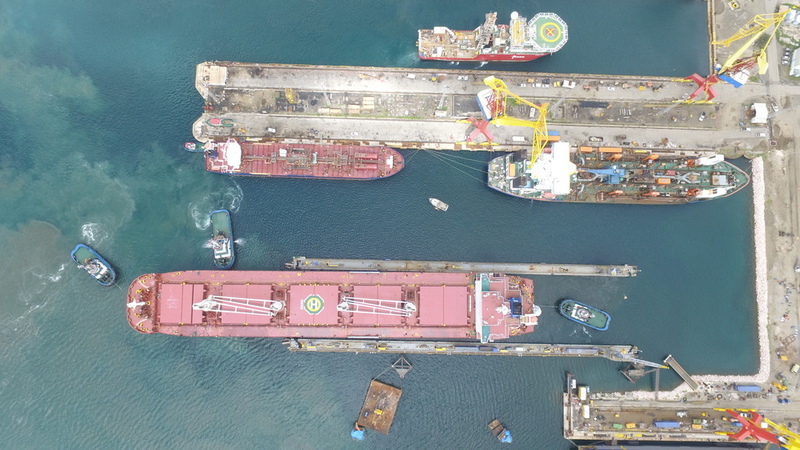 DSCu Nautical department, with the help of local KTK pilots and tugs subsequently docked the first commercial ship, a 63,400 tonnes deadweight bulkcarrier, thus putting the C dock into service.